The first thing you should know is that Doxiepoo is also referred to as Doxipoo. Also, this is a crossbreed pet. You might have opened a surprise gift many times in your life. Do you remember that excitement you had at those times? Yes, until you know what is inside the package, your anxiousness would have reached many levels, isn’t? You will get the same experience when you pet a crossbreed. You are not going to know how he will behave unless and until you move with him for some days. Let us gather some extensive details about this breed here. Doxiepoo is a combination of a Poodle and Dachshund. Even, it can rarely be a combination of two poodle or doxie combinations bred with each other. Of course, you will see different variants of this breed. But, the most common is the pet with the coat of the Poodle and the Dachshund’s low-slung and long body. Even, in most instances, the looks of these pets cannot be predicted. Even, two Doxiepoo’s born in the same litter will have differences in coat type, color, and size. As compared to most designer dogs, the Doxiepoo is an unpredictable crossbreed. For this crossbreed, different organizations have varied names like Doxie Poo and Doodle. They reach a height of around 17-23 inches and a weight of around 10-30 lb. To keep the weight of your Doxiepoo pet under control, it is important that you should feed him between 1.5 and 2 cups of premium dog food. Also, you should divide the meal between 1 to 3 sittings, rather than over feeding at a single shot. The reason is that this breed has the tendency to become over weight. Doxiepoo can live in any climate. Also, due to their small size, they can lead their life comfortable in a small house. 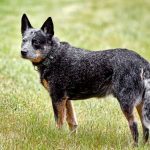 As the activity requirement of this breed is low, you need not have to look for a house with a yard to grow this breed. You should feel happy to know that this is a breed that is highly affectionate and loyal to the owners. A Doxiepoo loves to stay by the side of his owner always. They are highly people-oriented and they always show love to their families. They are excellent and conscious dogs. When they fear due to loud noises caused by passing trucks, they bark a lot. They will immediately bark when they come across the sight of a stranger in your home. But, once they find that the newcomer is a friend of your family and not a threat, they will calm down. If you have other pets in your home, it is better to get a Doxiepoo pup early, so that he will move with other pets with ease. Otherwise, they will have hard time in getting along with other pets. The parents of Doxiepoo are known for their moderate activity needs. It holds true for the kid as well. It means that you can feel relieved that they do not need intense exercise. However, you should take your Doxiepoo pet out for an hour per day. Just a 45-minute walk per day with this pet is enough. If you do not take him out for a day due to your engagements, he will not show destructive activities like other breeds. The lifecycle of Doxiepoos is generally 10-15 years as both parents have a lifecycle of 12-15 years. Of course, it varies based on different factors like his feeding habits, activity levels, grooming etc. With the increasing number of unprofessional breeders, who do not follow the right breeding practices leads Doxiepoo to a number of genetic uncertainties. On the other hand, ethical and professional breeders do not permit breeding of two dogs that are already mixes of poodle and dachshund. So, if you look to shop for this bred pet, make sure that you get her from a professional breeder. As mentioned earlier, the Doxiepoos have the coat of the Poodle and the low-slung and long body of Dachshund. Also, as they are found from two different breeds, they reach a height of around 17-23 inches and a weight of around 10-30 lb, which is nearly the average height and weight of the two breeds used for producing Doxiepoo. It is between 10-15 years. Healthy Doxiepoos can live for nearly 15 years, while unhealthy ones can die early as well. The problem with this breed is that she can get the health issues inherited from both her parents. They are prone to genetic diseases and so it holds true in the case of Doxiepoo as well. For instance, they can face health issues with the digestive tract, skin issues, ear infections, heart disorders, epilepsy, and diabetes and slipped stifle. So, you should take your pet regularly for vet checkup. Also, make sure that you buy the puppy only from a breeder, who shows medical clearance certificate of parents and the puppy. In case, the pet has an inbred coat from the dachshund, it will need low maintenance as compared to the poodle. They shed a lot if they inherit poodle. If he has a long and curly coat, it is better to do daily combing and you should do trimming two times a year. If the coat is straight and short, weekly once combing is enough. Ear cleaning should be done periodically and you should also make sure that the teeth are brushed to keep the bad smell away. It will help with improving the overall oral health as well. Doxiepoos are known for their moderate shedding. 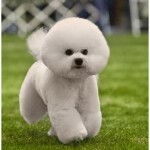 It is a hypoallergenic breed. As the parents shed very little, particularly the poodle, and even the Dachshund, they also shed moderately. Doxiepoo is an easy-going dog, so he is always good with people of any age groups. They are loyal and friendly to their families and they are people-oriented and intelligent as well. They are comfortable around kids, but you need to continuously supervise. The reason is that he takes the bad things from his parents like the stubborn behavior from the Dachshund. He always loves getting cuddled and play around and he is mischievous and funny in nature. But, they are known for their heavy barking behavior, particularly when they fear for something. In short, a Doxiepoo can turn out to be the good companion for your family. Make sure to get him from a professional breeder and also get him early in his life, so that he will move with you with ease. The reason is that he is not easy with strangers once he grows.